"I've been itching to do this for ages! Don't you just love it? I'm sure Bloggie does. 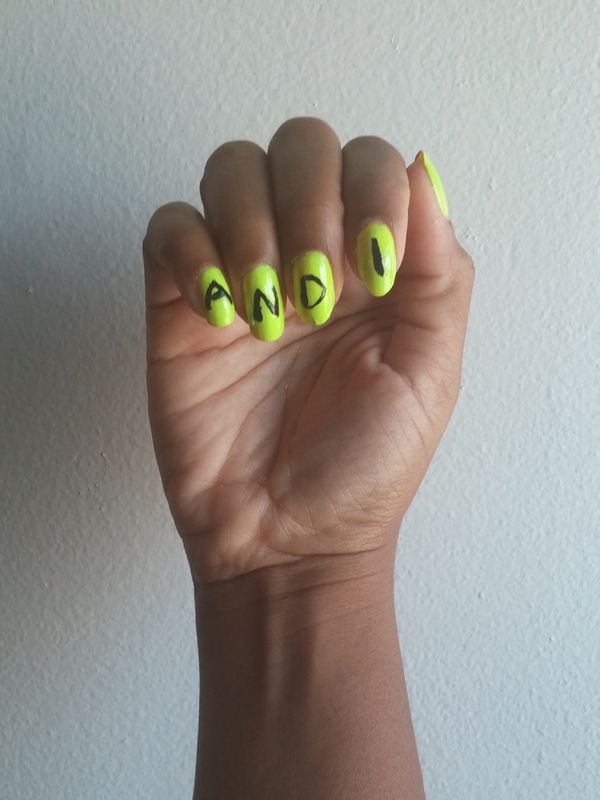 Wearing Summer Brights Neon Yellow and Revlon's Black Jack."